Even though the country has been in the midst of an economic crisis, the transportation industry has been able to stay relatively stable because of the fact that there is always the necessity for the trucking industry to deliver food and other consumer goods to stores throughout the region and the country. Together with that, there are other reasons why Roselle residents might want to enroll in Wolf Driving School to take CDL Training to become truck drivers. One of the more obvious reasons is because of the pay. First year drivers frequently average $35,000 annually. After that, they average between $45,000 and $50,000 annually. In addition, it’s not unusual for seasoned drivers, who own their trucks, to average over $100,000 a year. At Wolf Driving School, we have been offering training to Roselle students to take the necessary CDL training and truck driver training. We provide CDL Class A training (the highest possible truck licensing) for securing additional endorsements such as: driving tankers, triples, passengers or hazardous materials. We have built our company on the basic theories of Honesty, Reliability, and Quality. Only the finest, well-trained and capable individuals are hired to be Wolf Driving School instructors. In addition, our equipment is also the safest and finest in the business. 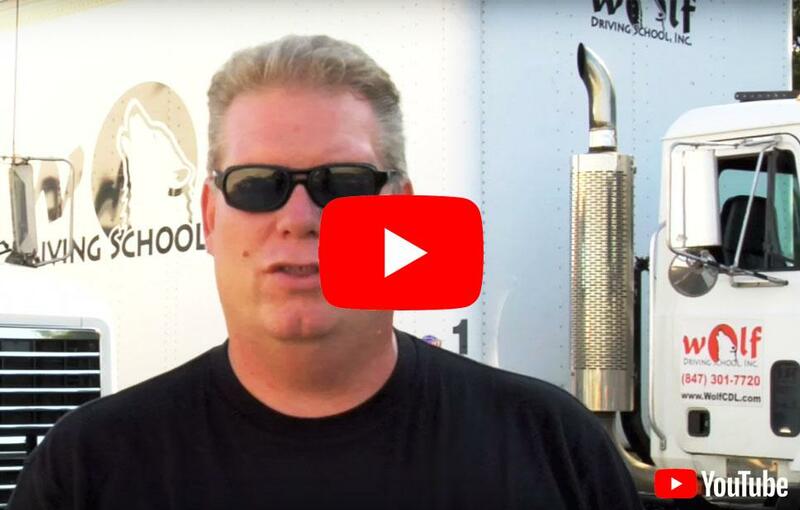 Our CDL training and truck driver training classes are able to accommodate the busy schedules of our students, so that they can work and study at the same time. We strive to help our students attain their goals and objectives, as well as to assist them in becoming successful, safe, and confident drivers. Roselle, Illinois is found in both Cook and DuPage Counties. The village has a population of 2,294 residents. Roselle is a community that largely consists of residential zoning. Located 24 miles northwest of downtown Chicago, the village is home to 8,443 different households and 6,239 families. It has a median household income of $65,254 and a median family income of $73,444. Roselle is a classic, welcoming hometown community with contemporary ideals; promoting strong family values, signature businesses and new growth for generations to come. From industrial, commercial and manufacturing firms to entrepreneurial start-ups and headquarters for international firms, Roselle has a greater need for CDL licensed truck drivers because of the considerable office and retail growth within the city. Not only are its consumer and household goods transported into the city by trucks, but, the majority of retail goods made in the area are shipped throughout the state and the nation on trucks. Quite a number of Roselle residents have recently enrolled in the Wolf Driving School for CDL training/truck driving training classes. This greatly increases both their career and income opportunities. Some of our Roselle residents wonder why they should enroll in CDL truck driving school. Wolf Driving School has the answers. Besides a healthy paycheck, trucking offers you an awesome opportunity to view this great nation of ours. If you want to explore America, sign up for CDL Training and Truck Driving Training today! Truckers play a significant role in our country. They deliver approximately 80% of our products! Wolf Driving School can assist you in earning a CDL in addition to helping you secure a job. Call us today to get involved in a new career of CDL training/truck driving training classes.